The suicides by fashion designer Kate Spade and TV host Anthony Bourdain have sparked a national conversation about mental illness. We’ll talk about Mental Health and the Black Community. Our Policy Watch segment will feature independent media analysis of the June 12 Singapore summit between President Donald Trump and North Korean leader Kim Jong-un. Our Real Talk segment features Black Panther Party co-founder Bobby Seale speaking about the Panthers’ Ten Point Program. 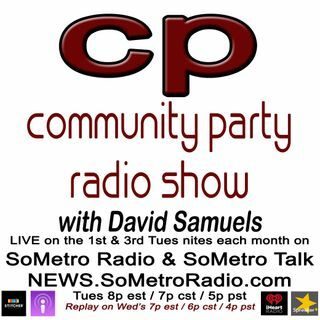 Community Party ... See More Radio Show is hosted by author and political activist David Samuels, author of the book False Choice: The Bipartisan Attack on the Working Class, the Poor and Communities of Color. Pick up your copy of the book on Amazon.